ORCHARD PARK, New York -- The Bills have fired coach Rex Ryan ahead of their last game of the season after he failed to lead Buffalo to the playoffs. Bills officials announced Ryan's firing on Twitter on Tuesday, after a Week 16 loss to the Dolphins dropped the Bills to 7-8 and officially eliminated the team from playoff contention. The loss extended the NFL's longest active playoff drought to 17 seasons. The Bills also said on Twitter that Ryan's brother, Rob Ryan, was fired from his position as an assistant head coach with the responsibility to oversee defense. Rob was hired in January to improve a defense that finished 19th in the NFL last year. 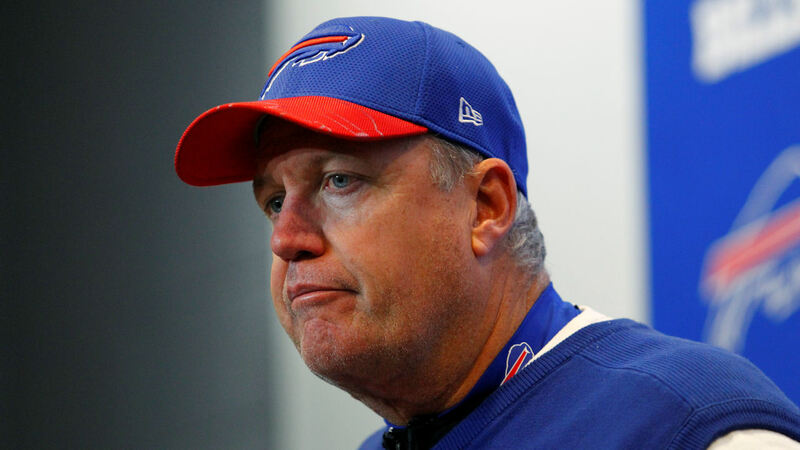 Rex Ryan came to Buffalo saying this would be his last job after six seasons with the Jets.